Scottish Labour loves talking about itself. The evidence for this is everywhere in the last few days, in print media, TV and radio studios, and social media. Organisations which have lost their way, which are in decline and crisis, often do this as a displacement activity. Think of the Tories ‘banging on’ about Europe, or the BBC post-Savile. Such behaviour is never a good sign. It makes people think their internal obsessions are important, and that the minutiae of such debates matter to the public. The first lesson for Labour is that lots of what it is doing does not matter at the moment. Labour has become a soap opera, one with diminishing ratings. If it were say ‘Eastenders’, it would be one where most of the original cast and big hitters (Angie and Den) have left, it is reduced to the B, then C list, and no one knows who is in it apart from a few fanatics. The only reason the show remains on the screen is that no one has the energy or interest to pull it. Scottish Labour is the longest running soap opera currently on the go in the country. It is longer running than its main competitor for attention, drama and inadvertent comedy – Rangers FC. That’s not an honour. As if Scottish Labour did not have more pressure on it an Ipsos-Mori poll came out on Thursday which turned many of the conventional assumptions of politics north of the border on their head. Scottish Labour’s Westminster heartlands have always been taken for granted, but this poll put the SNP on 52% to Labour’s 23%, which would produce 54 SNP seats to Labour’s four, on a swing of over 25% from 2010. This state of affairs more than likely won't happen, but it underlies the topsy-turfy nature of politics now, the fluid mood voters are in, and that these are uncharted waters in Scotland. Labour cannot just count on Scotland to deliver 40 MPs without trying. Scottish Labour is away to choose its seventh leader in the devolution era. The word ‘choose’ is a revealing euphemism because it took until the fifth leader (Iain Gray) to have a proper election. The four previous leaders all emerged from a variety of shadowy procedures and politicking: from Donald Dewar’s coronation, to Henry McLeish, Jack McConnell and Wendy Alexander. Lamont’s comments that Scottish Labour has been treated as a ‘branch office of London’ brought forth many responses. There was blanket denial from Westminster from the likes of Anas Sarwar and Ed Balls, to so far, complete silence from Ed Miliband. Much of the public discussion that ensued assumed that Westminster Labour and attitudes were the main problem. This amounted to a blank cheque to Scottish Labour, and ignored that many of its problems were made by its own hand and home grown. The party’s lack of strategy, direction and purpose are all significantly down to Scottish made choices. Its pathological detestation of the SNP which so hurt the party’s judgement, was born, maintained and reinforced in Scotland. This attitude, born of Willie Ross and ‘tartan Tories’ and the 1979 downfall of the Callaghan Labour Government aided by the SNP, has got much worse under devolution. It is as if Labour has had to find a strategy of differentiation, even if a negative one with regard to the Nationalists. Post-2007 the response of Labour politicians such as Lamont and Margaret Curran has been in the words of former First Minister Jack McConnell to get ‘too angry at the SNP for taking control’. There is the over-concentration on leadership as the solution, perhaps understandable when there is a sudden leadership vacancy. Yet much of the commentary of the last few days has been on the merits of candidates who were never going to run. Did anyone take the idea of ‘former politician’ Gordon Brown returning to ‘frontline politics’, a place he thinks he currently doesn’t inhabit as an MP? There is a sensitivity to be managed if an MP such as Jim Murphy becomes leader. This will involve him standing for the Scottish Parliament as soon as he can, preferably at the time of the 2015 Westminster contest. A related problem is the danger of a dual Westminster leadership of Murphy and Anas Sarwar remaining as deputy. That would create a problem of perception about where power sits. It would seem to say Labour’s 38 MSPs aren’t simply good enough to supply one of the two leadership posts and that instead the party has to have ‘dual control’ from Westminster. Democracy matters. Both the enactment of it and what it results in. Labour is stranded with the tripartite Electoral College (parliamentarians, individual members, and trade unions and affiliates) to choose its leader. Bequeathed to the party in 1980 in the Bennite insurgency, it has proven a problem from the moment it came into operation with the 1981 Benn-Healey contest, and often not in ways first imagined. British Labour abandoned it earlier this year; Scottish Labour has yet to do so. The college with its labyrinth procedures makes it hard to move against unpopular leaders: latter day Blair, Brown, or Miliband today. They make contests where an early winner appears, and secures a landslide and virtual coronation: Kinnock in 1983, Smith in 1992, Blair in 1994. This forecloses, rather than aids, debate. They have also been used for blatant party management fixes: in 1998 to stop Rhodri Morgan becoming Welsh leader and in 2000 to prevent Ken Livingstone running for London Mayor on the Labour ticket. In both the fixes were achieved, but at huge cost, and eventually, later on, Morgan and Livingstone were elected to the posts the Labour leadership had tried to deny them. Scottish Labour has used the college twice: electing Iain Gray in 2008 and Johann Lamont in 2011. On both occasions it provided no detailed breakdown of the results beyond aggregates in each of the three sections. Thus, no figures were provided for how many individual party members or trade union members and affiliates voted. This was one suspects because of the low turnout in the trade union and affiliates section, and threadbare nature of individual party membership which the party has not revealed for over four years. Democratic elections are a chance to debate, invigorate and renew what you stand for. Scottish Labour first got into the habit of avoiding such elections, producing four leaders by a variety of means other than democratic mandate. Then when it eventually and belatedly embraced democracy it had forgotten its renewing potential, because it had not in recent years practiced the politics and practices of discussion and debate. The 2008 and 2011 contests with lots of candidate hustings meetings, did not even begin to address the deep malaise which had set in at the heart of the party. This was even more tragic after the 2011 SNP landslide, because the upside for a defeated party in being rejected by the electorate is that it is a release and liberation, and this allows for the beginning of a fightback: Labour after 1983 and the Tories after 2005 being good examples. Labour has squandered the positive effects of getting a good kicking from the voters. 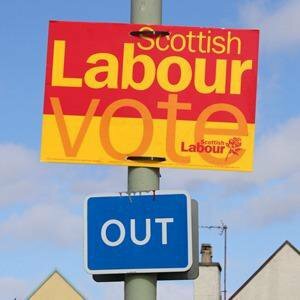 What went wrong with Scottish Labour? Scottish Labour once stood for something positive: a definite, clear-cut worldview which could be described as administrative labourism. It was not radical or very left wing, but it delivered big things: it built homes, New Towns, lifted people out of poverty, brought Hydro-Electric schemes to the Highlands, and championed an active, interventionist state. The world moved on. Scottish Labour’s very success produced the seeds of its own downfall. By contributing to changing Scottish society by its herculean endeavours, it left people wanting more than small-minded Labour councillors running everything. People became more aspirational and individualist; the party did not adapt. Successive UK Labour Governments hit economic troubles whether at the hands of devaluation or the IMF, and the SNP emerged as an electoral threat in what were once Labour heartlands. The party that came to embrace devolution and then legislate for a Scottish Parliament was not a happy one. It was one ill at ease with modern Scotland and politics. Added to this the logic of a Parliament pre-devolution had become wrapped in a host of negative reasons: to out-manoeuvre the SNP (to ‘kill nationalism stone dead’ said George Robertson) and to institutionalise anti-Thatcherism. Labour in 1999 had no real answer to what the Parliament was positively for and what kind of politics and Scotland was it meant to advance. This vacuum at its heart was to time and again cost it dear. The party 47 years after the SNP erupted onto the scene, and a decade and a half after the establishment of the Scottish Parliament, appears lost, bewildered and confused. It has in recent years in opposition engaged in a mindset of retreating into a comfort zone which can only be described as a bunker, one inhabited by a few war weary survivors who have dedicated themselves to the cause. Unfortunately, for the party, the quality of advice and expertise has been questionable to poor, and exasperated the party’s already multiple problems. To take a couple of examples. There was the Devolution Commission, which between 2013 and 2014 was watered down at the behest of Labour MP opposition. The final report contained plans on new tax powers, envisaging them being allowed to go up, but precluding them from being cut, as this could have aided the SNP’s tax competition instincts. All the party cared about in this instance was shooting the SNP fox, instead shooting itself in the foot! Then there was the Paul Sinclair inspired strategy of pursuing Alex Salmond over a hotel bill in Chicago which went on for months. Salmond had been there with his entourage on official business, but Scottish Labour raised it week after week in the belief that they had to diminish and tarnish Salmond. It was a new low for Scottish Labour, and one which in its ‘get Salmond at all costs’, provided totally ineffectual and counter-productive. This brings us to Jim Murphy. Firstly, there is the existence of Murphy’s Law. This states that the amount of abuse and invective arising on social media is directly related to and a measure of how serious a politician the person is. Many Nationalists fear Murphy. The question is what direction would he want to take Scottish Labour in? Some such as John McTernan have indicated that he can and must stop ‘the separatist agenda’ inside Labour. Others such as Owen Jones see him as an ‘arch-Blairite staunchly pro-war Westminster politician’, which means that Jones does not care much for his brand of politics. Increasingly the terms of reference used to explain Labour machinations: ‘Blairite’, ‘moderniser’, even ‘left’ and ‘right’ are meaningless. There isn’t a very powerful, radical left in Scottish Labour, and hasn’t been for as long as anyone can remember. These terms need to be put in the dustbin of history, as terms such as ‘Gaitskellite’, ‘Bennite’ and even ‘Brownite’ have been previously. To Owen Jones in the Guardian, the problem is primarily about the Scottish party’s ‘embrace of Blairism that left a progressive vacuum the SNP was able to fill’. What embracing of Blairism is this beyond in the early days of devolution the use of the Private Finance Initiative? To some on the left, any connection to the realities of the modern world is proof of Blairism, and with this comes a one-dimensional reading of the world, problems and solutions: the latter to be found in a nostalgic yearning for the past certainties of class politics, whether it be the 1980s or spirit of ’45. John McTernan in a ‘Daily Telegraph’ piece this week observed that strange world of Scotland post-referendum. The party that won, he argued, has thrown it away (Scottish Labour), and the one which lost it is acting as if it has won (SNP). McTernan argued that a myth has arisen post-vote of a ‘wildly left-wing, working class country’ which it would be disastrous for the SNP leadership to embrace, or Labour in a ‘clear red water’ strategy. However, in resisting demands for greater autonomy, McTernan has to create a caricature, dismissing such calls as ‘a clue to the Scottish Labour disease: the party has internalised the SNP’s abuse, and even come to believe it. It’s a kind of political Stockholm syndrome’. Breaking free of the party’s so-called ‘Stockholm syndrome’ is one of the central keys to Scottish Labour’s future but not in the way McTernan means it. Over the trials and tribulations of devolution, Scottish Labour has developed and clung to a dependency relationship with British Labour. It has looked to it whenever it has had problems, while British Labour has stepped in whenever it has judged that the Scottish party is, in its judgement, not up to it. The last few years are littered with examples: the first Scottish Parliament election campaign of 1999, the 2007 contest which the SNP narrowly won, and the recent referendum campaign. Such a pattern was repeatedly evident in Lamont’s leadership: from Major Eric Joyce and the Falkirk selection, to the related Ineos/Grangemouth dispute, and the controversy over how to mitigate the effects of the bedroom tax. In everyone of these high profile controversies, the Scottish party leadership was kept out in the cold or marginalised by Westminster Labour. Henry McLeish, Jack McConnell and Wendy Alexander as leaders all had problems of one kind or another with the Westminster leadership. McConnell now presents these disagreements as being not about policy, but about party administration, but it did not seem that way at the time, and more crucially, party devolution plays a central role in the evolution of policy and ideas; one isn’t really possible without the other. Scottish Labour has to break this pattern of a relationship whoever becomes leader. Whether Jim Murphy or someone else they cannot appear as Westminster’s man or woman in Scotland. The relationship is one which isn’t working for either of the parties. It results in the Scottish party being diminished and infantilised, and always believing its problems are the fault of others, even when it might be Scottish Labour MPs. It prevents growth, self-awareness and learning from mistakes, such as 2007 and 2011. But British Labour doesn’t gain from it beyond trying to hold the line and maintaining 41 MPs coming to Westminster. Seeing Scotland continually as a problem means it becomes a problem, and one which is not understood; witness British Labour’s lack of interest or understanding in Scotland until the last few weeks in the referendum. The origins of the current malaise in Scottish Labour go far back beyond the mistakes of devolution or alleged perfidy of Blairism. They can be found in the limits of what the party turned into under decades of administrative labourism, namely a party and politics based on an ‘entitlement culture’ of a political class, and a language of describing Labour voters as ‘our people’, as if the party always knew best. It is a long road back from the years of patronage and preferment, and seven years into opposition Labour hasn’t seriously begun a politics of renewal. The first steps in this would involve publicly understanding and recognising the limited, controlling politics it practiced when administering large parts of Scotland. An apology and mea culpa for taking the people for granted, and reflecting that the old ways were no longer appropriate, would offer some kind of break between the past and the politics of the present and future. Second, Scottish Labour has to do and say things which people hear and listen too. An apology would be one. Developing a distinct Scottish Labour politics would be another. Declaring a new relationship between Scottish and British Labour is yet one more possibility. A unilateral declaration of independence would certainly make people take notice, but the party lacks the courage and resources, and it would look a little out of place just weeks after banging on the merits of ‘Better Together’. Finally, and perhaps just as radically Labour has to learn to stop going on about the SNP and the constitution. The first is the default position of most media commentary outside Labour: that Labour has to get over the Nationalists. But on the second, the commonplace media and public consensus is to believe that all answers political will be found in fine-tuning the constitution and constitutional change. It will not. The most radical, far-reaching and powerful thing Scottish Labour can do is to live up to those words and intent: to be proudly Scottish and Labour. That would mean spending less time on constitutional change, devo max and devo lite, and instead talking of classic Labour issues, and in particular, social policy and social justice. Labour cannot out Nat the Nationalists on the constitution, but it can authentically talk and make its own issues of low pay, poverty, insecurity, the rising numbers of children, workers and pensioners in poverty, and how to give aspirational, but anxious Scotland a voice and champion in our political system. It could also address wider issues than just a welfarist politics, such as public sector change and innovation, wealth creation and the economy, which it has not talked about in at least a generation. Scottish Labour has to be authentic, speaking and representing a country and society it is both comfortable with and had a huge role in bringing about. There is a sizeable constituency out there for such a political message, but will Labour after fifteen years find the courage to advance and nurture change, challenge the vested interests in its own party, and take back some of its ‘natural’ territory from the SNP? Such a set of challenges involve more than a change of leader. They entail cultural and generational change, and a party that has learned from its mistakes.